Why vaccinate adults against measles? 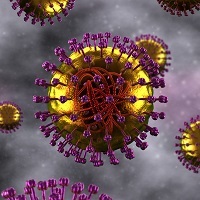 Complications from measles are more common among adults. Approximately 20 percent of those with measles experience one or more complications including diarrhea, ear infections, pneumonia, encephalitis, seizures, and death. Measles is extremely contagious; 90 percent of susceptible household contacts of a person with measles will become infected. Which adults should get vaccinated against measles? Adults born in 1957 or later who have not been vaccinated or have not had measles. College students, teachers, healthcare personnel, and international travelers are at increased risk for measles. What happens when someone gets measles? Symptoms of measles include high fever, rash, runny nose, pink and watery eyes, coughing, diarrhea, and earache. The risk of death from measles is highest for adults and infants. Measles is very contagious; you can get it just by being in the same room with an infected person?Why is measles vaccine important? Measles is very contagious; you can get it just by being in the same room with an infected person. The US is experiencing a rise in measles cases related to unimmunized US travelers bringing the infection back from other countries, mostly in Europe. FAQ: Can I just get a measles vaccine instead of MMR? No; MMR is the only vaccine available. The MMR vaccine is very safe and effective with few side effects. You may get mild reactions like fever, redness, or swelling at the injection site. Some adult women may infrequently have temporary joint pain or stiffness after receiving MMR vaccine. FAQ: I've heard that the MMR vaccine is linked to autism. Should I be worried? No. Many well designed scientific studies have shown absolutely no association between the MMR vaccine (or any vaccine) and autism. You can read more on the CDC website about the studies and the many scientific groups that agree that MMR vaccine has no link to autism.